Yes it is end of January and valentine fever is already striking the world with the confusion of buying best gift for their partner. Search engines are going to tremble with searches like “Best valentine gift for my valentine”. 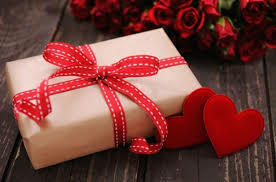 Are you one among the person who can never satisfy your valentine with any cute cuddly gifts? Are you the one having a valentine who is not interested in biggy teddy bear or a pinky heart-in cushion? Are you the couples who both are nerdy and love to spend your valentine’s day in a cafeteria at NASA? Are you searching for a tech gift to surprise your valentine this year? Then you have come to the right place. From launching 104 satellites from a single rocket, to monitoring a pet in your home from wherever you are, technology has developed widely and drastically in the past decade. The development not only stopped with rockets, but also in gifts. Make sure you play safe and read the Harakamasria blog to help with that. Here are the lists of five best tech gifts you can give your loved one on this Valentine’s Day. Having a partner who is a digital artist? Who is never tired of drawing and scribbling? Then this is the best gift you can buy for them. Compatible with iPhone, iPad, and number of iPhone apps, the stylus pencil from fifty three stands 1st in the list of tech pencils (even better than apple’s very own stylus). Available in two color variants, Walnut and Aluminum, Stylus can do wonders when combined with your artistic knowledge. With advancement in Palm rejection technology, you can draw, write, scribble, smudge and even erase using the stylus pencil and it designed the same way as a wooden pencil. There is nothing greater than you and your valentine walking down on the beach in a same tee. But that seems a little boring right? So the techie tech nerds have added the advancement in technology even in those tee-shirts. The love meter in the chest of the t-shirt will glow if your partner is nearby. Yeah, you heard it right. What is more interesting is that it glows even more and the meter starts to fill up when your partner gets as much close as possible. What else is going to make this valentine greater other than this gift. Are you searching for a gift to give your valentine who is a star war fan? Who would never miss a star war collectible to showcase in his hallway? Then he would have surely missed this one and you are going to be the one to help him fulfill his desire. Yes, this gift certainly is amazing if you never will miss any episode on any season of star wars. This tech droid is a representation of anabolic robot in star wars. You can sync your Smartphone with this droid and take it anywhere with you. The droid will give lots of expressions pre-programmed and even respond to your voice commands. It has adaptive personality programming, which changes as you play with it daily. It is more like an electronic pet, which comes as a robot in star wars and it was a double bonus right? Is your valentine was a gadget lover and spends most of their time with their own gadgets rather than you. Then it’s time to get him a lovable gadget which would remain him about you all the time. Introducing Huawei Watch 2, a generic tech gadget from Huawei which syncs both with iOS and Android, which is great news for techies who are having both devices. But what makes Huawei Watch 2, stands in top is that they provide sturdy built in quality and great user friendly software interface. Powered by Snapdragon 2100 chipset, 420mah battery and Android wear 2.0, you can call, message, and even use Google voice command and study your fitness data. One great thing is, you can track the location of this gadget from anywhere around the world. Sounds great right? You can spy on your valentine without even him knowing. Having a pet which you love more than your valentine? Or are you the person who doesn’t trust in love from humans but from your pets? You guys surely are not rejected from the celebration of this great day. You can buy this amazing gift for your pet. The Fitbark Pet Tracker, from Fitbark, allows you to track the health and location of your lovable dog. You can monitor your dog, and get explained in the change of behavior and even compare with similar dogs. You can set the right health goals for your dog and even sync your FitBit band with this device while taking a morning jog with your pet. That’s it guys. Hope you have got what you were searching for. Share your love on this Valentine’s Day with these great tech gifts.